Huawei Honor 3C is the ultimate budget smartphone available in the market with Dual SIM , 5.0 inch screen, MTK6582 Cortex A7 quad core 1.3GHz processor, 2GB RAM, 8GB ROM, 5MP front camera and 8MP back camera, and installed with Android 4.2. 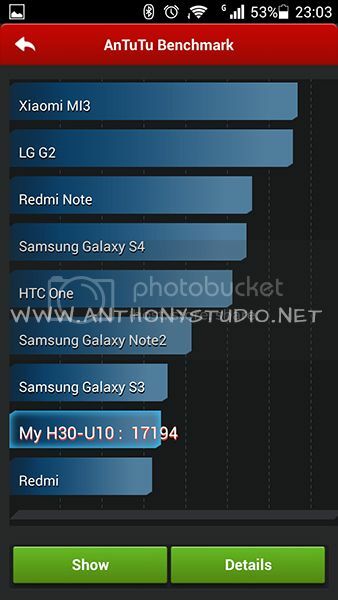 In idle situation without running any apps, the phone is using 7xxMB of RAM. 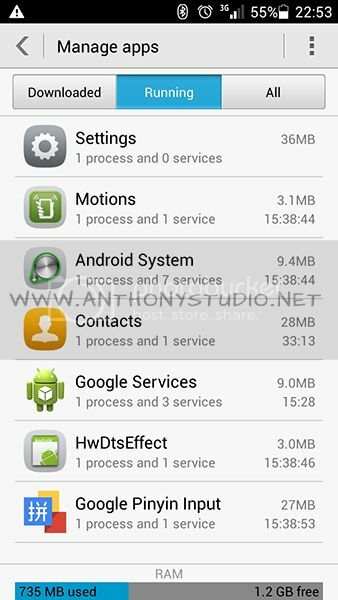 No lagging when switching multiple apps such as whatapps, wechat or facebook. Hence, bigger RAM is better. 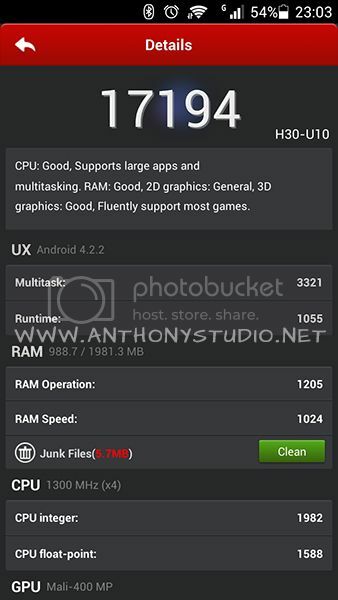 Due to the lower clock MTK6582 Cortex A7 processor, the Antutu Benchmark only achieved 17194 marks, but is definitely not an issue for general use and gaming. The phone battery life time can last up to 2-3 days for normal use without gaming. So far is nearly a month I’m using this phone without any issue. The phone can only be purchase online via www.vmall.my. It’s amazing what this phone can gives you at a price as low as RM499 only, is definitely worth it.